Add Engraving: $25.00 Our Protection Plan Policy! Here is a Hockey Puck Ring. Seriously, what more could you want to know? I mean, if you need us to say more about this ring to get you interested in it, if you don't think the fact that a hockey puck ring exists is the greatest thing you've heard this week, then you're probably not quite the hockey fanatic we designed this for. This hockey ring is straightforward, yeah, but it's unique as hell. Besides, for this design we wanted to stay away from the teams and the branded logos and the gimmicks and get right down into the meat of what makes hockey the world's greatest game: a simple, hockey puck. So, like we said, it's a men's wedding ring shaped like a puck. What more could you want? 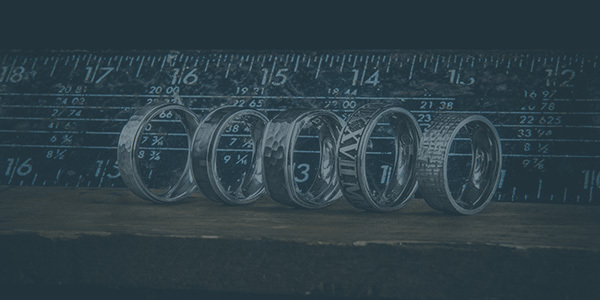 Okay, here's a few more details you should probably know: Each of our wedding hockey pucks come in bands that can be custom shaped into nearly any whole or half size. 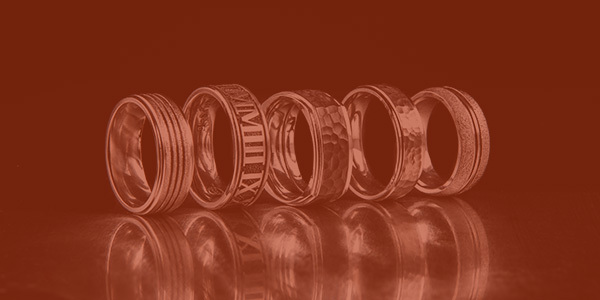 Please note: Here's the only fine print: Because of the quality of the materials used to make each of these custom hockey puck wedding bands, there is a 20% fee for all rings sized 13 and higher. You will see this added cost when you checkout, just so you know. See more of the best sports wedding rings in our exclusive full collection.